The World Health Organization (WHO) is recommending that farmers and the food industry stop using antibiotics routinely to promote growth and prevent disease in healthy animals. Over-use and misuse of antibiotics in animals and humans is contributing to the rising threat of antibiotic resistance. Some types of bacteria that cause serious infections in humans have already developed resistance to most or all of the available treatments, and there are very few promising options in the research pipeline. “A lack of effective antibiotics is as serious a security threat as a sudden and deadly disease outbreak,” says Dr Tedros Adhanom Ghebreyesus, Director-General of WHO. “Strong, sustained action across all sectors is vital if we are to turn back the tide of antimicrobial resistance and keep the world safe." A systematic review published today in The Lancet Planetary Health found that interventions that restrict antibiotic use in food-producing animals reduced antibiotic-resistant bacteria in these animals by up to 39%. This research directly informed the development of WHO’s new guidelines. WHO strongly recommends an overall reduction in the use of all classes of medically important antibiotics in food-producing animals, including complete restriction of these antibiotics for growth promotion and disease prevention without diagnosis. 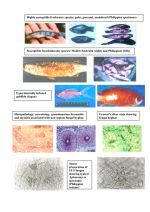 Healthy animals should only receive antibiotics to prevent disease if it has been diagnosed in other animals in the same flock, herd, or fish population. Where possible, sick animals should be tested to determine the most effective and prudent antibiotic to treat their specific infection. Antibiotics used in animals should be selected from those WHO has listed as being “least important” to human health, and not from those classified as “highest priority critically important”. These antibiotics are often the last line, or one of limited treatments, available to treat serious bacterial infections in humans. Many countries have already taken action to reduce the use of antibiotics in food-producing animals. For example, since 2006, the European Union has banned the use of antibiotics for growth promotion. Consumers are also driving the demand for meat raised without routine use of antibiotics, with some major food chains adopting “antibiotic-free” policies for their meat supplies. 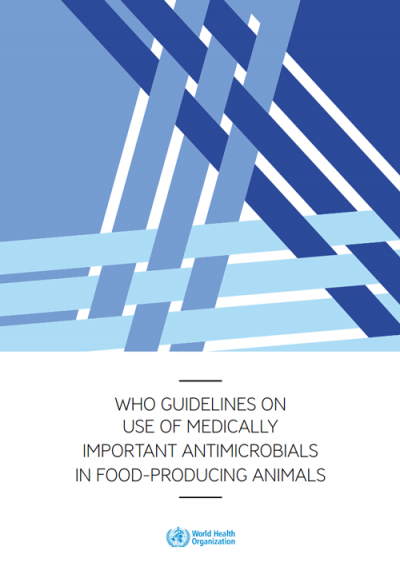 WHO's Guidelines on use of medically important antimicrobials in food-producing animals build on decades of expert reports and evaluations of the role of agricultural antibiotic use in the increasing threat of antibiotic resistance. They contribute directly to the aims of the Global action plan on antimicrobial resistance adopted by the World Health Assembly in 2015 and the Declaration of the High-Level Meeting of the United Nations General Assembly on Antimicrobial Resistance, adopted in 2016.